Ukrenergo will initiate the introduction of amendments to the electric power codes for the guaranteed purchase of highly maneuverable balancing capacities, which will allow building accumulation and gas generator stations in the context of the rapid development of renewable energy sources. "There are quite wealthy Ukrainian investors who can be interested in investing in energy storage. Perhaps there will be those who are interested in gas generator stations. 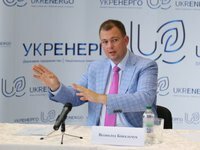 And if the government announces appropriate tenders for such construction, where the subject will be the price for power, probably they will be of interest to foreign investors who have access to cheap loans," head of the company Vsevolod Kovalchuk said in an interview with the Delo edition. "The only thing that does not exist for such projects in our legislative field is guarantees for the purchase of the service. To do this, we need to amend the already approved codes. We will initiate these amendments, and we hope that by working together with the Ministry of Energy and Coal Industry and the National Commission for Energy, Housing and Utilities Services Regulation (NCER) by the end of this year we will be able to provide adoption of the necessary changes in the secondary legislation and start the procedure of a tender for capacity creation," he added. According to him, gas generator power plants will operate a small number of hours per year, so this will not affect the gas balance.